Last night, I went to Alabang to watch a movie with Mark, a friend. There was still an hour to kill so while he checked out clothes in Rustan’s, I went to Powerbooks to browse books. 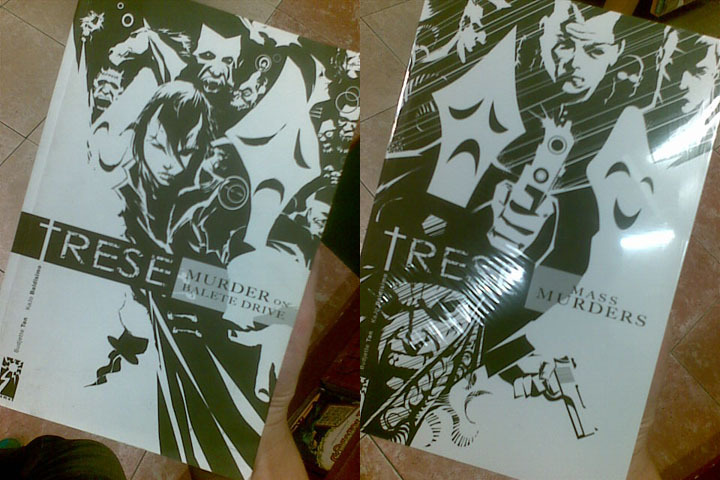 In the Filipino section, I saw this cool comic series by Budjette Tan and Kajo Baldisimo called Trese. It’s about the adventures of a detective named Alexandra Trese who solves crimes of a more supernatural nature. I am so wanting this! I like how the authors combine old-world superstitions and the modern Filipino lifestyle. Victor, really? Cool! I should check them out sometime. I just remembered, though: I'm not into comic books. Haha.